The investigations of Russian collusion into the 2016 election have been going on for nearly 10 months now, and key Republican lawmakers are ready for the congressional committees looking into the matter to wrap it up. No evidence of collusion has been found—a point even some top Democratic lawmakers are acknowledging. 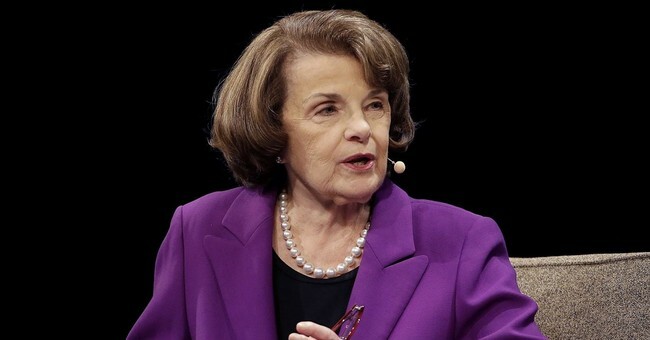 Sen. Dianne Feinstein was asked Sunday by CNN’s Jake Tapper about revelations that former Trump campaign adviser George Papadopoulos sought “dirt” on Hillary Clinton from someone with Russian connections who claimed he could provide “thousands” of her emails. Papadopoulos plead guilty of lying to the FBI about his contact with a Russian national but it still was not evidence of collusion. George Papadopoulos pled guilty to a single charge of making a false statement to the FBI. He was not charged with so-called “collusion” because no such crime exists in American statutory law, except in anti-trust matters. It has no application to elections and political campaigns. “Have you seen any evidence that this dirt, these emails, were ever given to the Trump campaign?” Tapper asked the California Democrat. “Not so far,” she replied. Feinstein is a member of the Senate Intelligence Committee and the ranking Democrat on the Senate Judiciary Committee, both of which are investigating Russian collusion. “Have you seen any communications that suggested that the trump campaign wanted them to release them through a different means?” he pressed. “I have not,” she replied.